If you own a PlayStation VR Headset then you need to know how to properly care for the device. It's an expensive piece of hardware that could easily break if you handle or store it wrong. Here are some top tips and useful accessories to ensure your PSVR headset stays in top working order. It's tempting to not purchase a carry case for the PSVR but not doing so places your headset at risk of breakage. Even if you don't plan to take your headset anywhere, owning a VR Storage Carry Case allows you to keep your headset in a protective case. This VR Storage Carry Case uses a 'hard' outer shell that protects the PlayStation VR and makes it very difficult to damage the device. There are no officially created cases from Sony but all of these cases are able to protect the PSVR from damage. 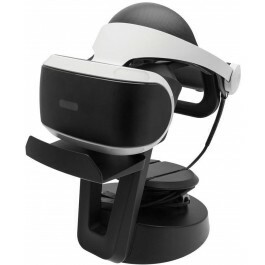 While a hard case is great for storing a PlayStation VR headset, a headset stand is an alternative option for storing the device while putting it on display. This Universal VR Headset Stand and Organiser is very presentable as the PSVR fits nicely on the stand. Gamers who want to put their PSVR on display should look at getting a headset stand instead of a carry case. When you first get a PlayStation VR you should look at getting a PSVR Starter Kit which contains a range of useful items to keep the Sony device in tip top condition. 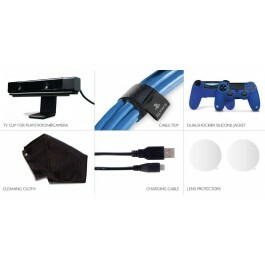 This Playstation VR Starter kit comes with a cleaning cloth, lens protectors, a cable tidy and also a silicone jacket for the PS4 controller. 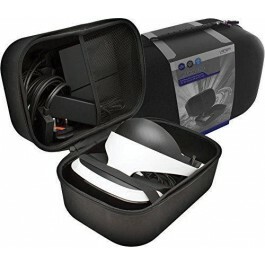 A kit like this one contains everything you need to keep the new Sony VR headset in a good condition. Please feel free to leave your comments and ideas on how to store and protect your VR Headsets.